Ricardo Barrera resides in Elgin(Chicago), Illinois. 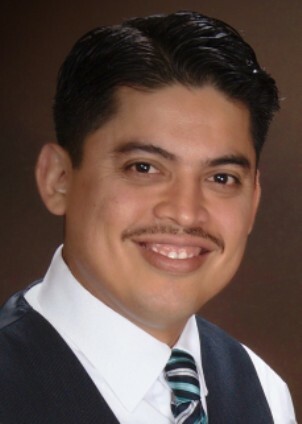 Ricardo graduated with a bachelor's degree in Business Administration and worked as a business consultant for 15 years at McDonald’s Corporation. At this position he was able to establish different committees towards the help of the Hispanic community in the Chicago area. He graduated from Alpha and Omega Bible Institute in Hope, Arkansas. He received a Master of Ministry in Christian Education and recently received a Doctorate of Theology from The Theological University of America. He graduated from the Singing School at Abilene Christian University in Abilene, Texas. Ricardo founded Catch’s Productions, a company that facilitates resources to the Spanish Church of Christ. Part of this ministry is the www.himnosenpantalla.com (paperless hymnal in Spanish). He teaches singing lessons at the Singing School in ACU and is currently responsible for the Spanish department. He has been preaching at the Iglesia de Cristo in Elgin for the last 18 years and holds seminaries in different parts of the U.S.A., México, Central America and the Caribbean. He leads tours to Israel, Greece, Turkey and Italy every year. He has visited abd preached in the Holy Land, Turkey, Greece, Italy, U.S.A., Spain, México, The Caribbean, Central America and South America. Ricardo has presented classes and conferences in different lectureships in different universities in the U.S.A. such as Pepperdine, Abilene, Rochester, Orlando, and other. He leads different missions to Children's Homes in different parts of Mexico.